RVing and Travels...Adventures with Suzanne and Brad: Our Grand Canyon Whitewater Rafting Adventure! Our Grand Canyon Whitewater Rafting Adventure! It was over two years ago that we decided to take a white water rafting trip in the Grand Canyon to celebrate Suzanne’s 50th (UGH!) 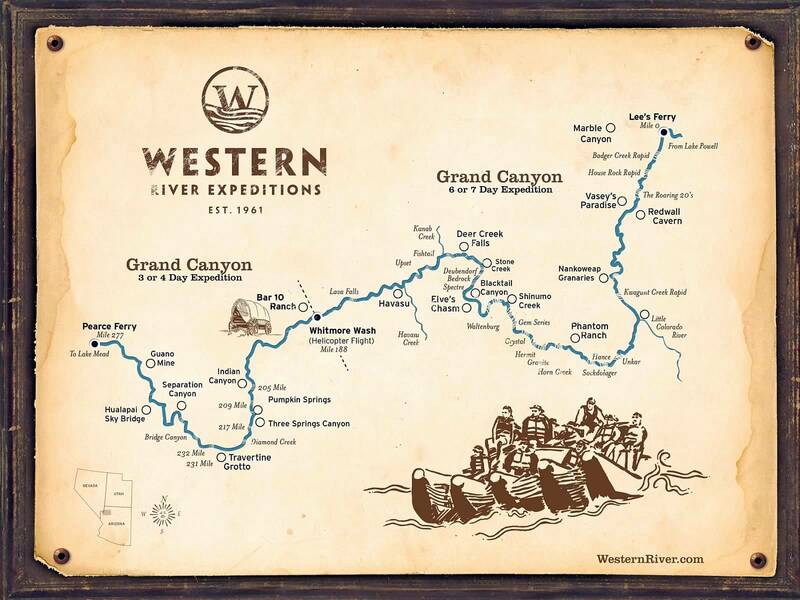 birthday, and we settled on Western River Expeditions. There were many factors involved: these are large rafts (each measures about 37 ft by 12 ft and can comfortably accommodate up to 18 guest and 2 guides), we did not need to paddle (they are run by motor), great meals were provided (as you will soon read and see), and it was highly recommended. We had to reserve our spot in May 2016 and finally, on September 7, 2017 we were one our way!